Designers have to deal with all the hassle they meet on their work place, whether it be the delivery of the task on the given time, or managing the projects on his table, whether it be fulfilling his job duties or dealing with a variety of clients, they like to do it the best way possible so they won’t meet any complaints on part of all that concern with them. Designers are those artist who love to outdo themselves because they don’t want to do it halfway or below average. They want everything in a proper place, disciple and well organized & for this they leave no tables unturned. I have been doing projects that my clients demand and in all of them, I give extreme importance to the presentation. Because the way it looks, will appease the client. So make sure you make it loud, clear and unambiguous. Try making things simpler because anyone can give a hoax and bigger ideas but it takes the real one to make the thing simpler so it may come across even the average mind. 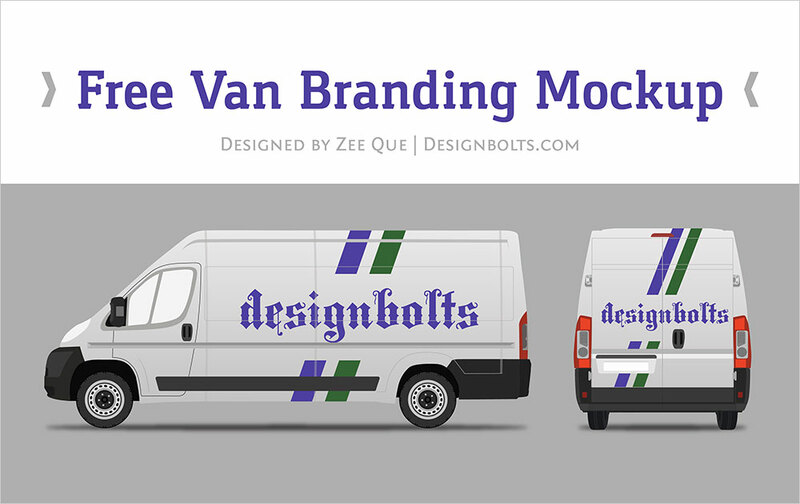 If you are currently dealing with the branding projects then this van branding mockup will help you out, insert your own design element which you are supposed to show before you client, and make him know how the branding is going to look like on a roadside van. It will give him a bigger picture to imagine and see the name/logo/brand being imprinted on the van. Today I am unfolding before you free van car mock-up. Have a look, stay hooked for more freebies and we will keep on entertaining you with more stuff that you can take benefit from. Here is a toast to all who have been following us and those who have not yet subscribed us, do that for free updates and keep a check on all the latest art and design posts we are laced up with. I am sure it is going to be a best shot in the future as well. Together we can learn, together we can overcome and together we can make it a worthwhile design experience. Here we go!